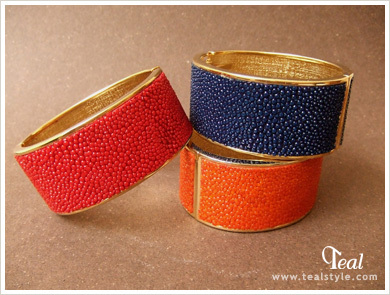 Glamorous gold tone stingray leather bangle with spring open closure. Interesting details such as the texture of the inner part of the bangle make this piece extra special. Stingray leather has a characteristic pebble-like texture. Only one bracelet per color is available. Metal parts are stainless steel.